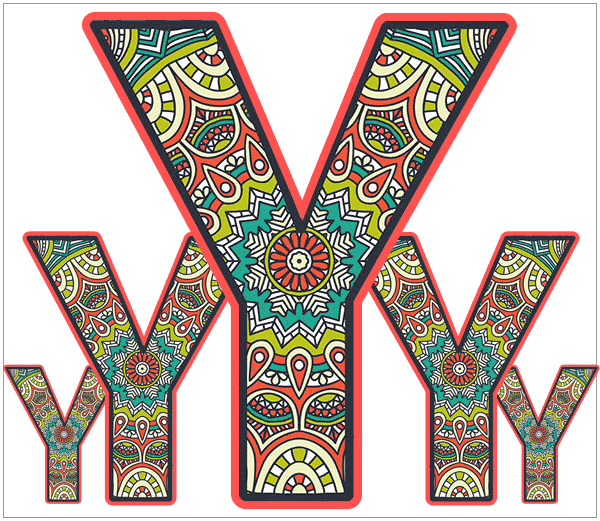 In numerology, the letter Y can be a vowel or a consonant. If you have a Y in your first, middle, or last name, enter it below (one name at a time) to learn if it's a vowel or a consonant. There are other letters that have an ambivalent nature, such as the letter W, but we don't assign it a vowel status. Note that vowels are pronounced with free-flowing breath: Aaaaaaaa; Eeeeeeee; Ooooooo; Iiiiiiiiiiiii and Uuuuuuu. Consonants, on the other hand, have a distinct beginning or end. They are sharply begun or sharply finished. For Example: B, D, K, P, S, T, X, and so on. There is a distinction in consonants, a harder edge than the soft and flowing vowels. The vowels reveal the tender you, your love, caring, and vulnerability. Consonants reveal certain of your characteristics that, among other things, shield your more vulnerable side. Your public personality, which is revealed by the consonants, is a fundamental aspect of who you are, but these characteristics tend to be those aspects that you willingly show the world. The vowels are A, E, I, O, and U.
Numerology considers all other letters to be consonants, except the letter Y. When the letter serves as a vowel, and in fact sounds like one, it is a vowel. The same is true when the Y serves as the only vowel in the syllable. Examples of both of these cases are such names as Lynn, Yvonne, Mary, Betty, Elly, and Bryan. However, if the Y does not provide a separate vowel sound, as when it is coupled with another vowel, it is considered a consonant. In names such as Maloney or Murray, the Y is a consonant, because the vowel sound depends upon the long E in Maloney and the long A in Murray. In general, the Y is a consonant when the syllable already has a vowel. Also, the Y is considered a consonant when it is used in place of the soft J sound, such as in the name Yolanda or Yoda. In the names Bryan and Wyatt, the Y is a vowel, because it provides the only vowel sound for the first syllable of both names. For both of these names, the letter A is part of the second syllable, and therefore does not influence the nature of the Y. ***There are exceptions but the above rules cover 99%. In Sydney, the first Y is a vowel, the second Y is a consonant. In Kay, Yeltsin, May, and Kuykendahl, the Y is a consonant. Disclaimer: These rules apply specifically to numerology, they are not viewed the same way in linguistics.